BELLEVILLE – A certain dark knight is selling very well this holiday season, according to one local business owner. “Anything Batman sells in a heartbeat,” says Aaron Crossen, owner of Need A Hero Comics in Belleville. 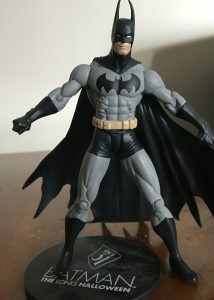 Whether it’s comics, figures or any other merchandise, Crossen says Batman items sell very well in December. QNet News wanted to know what the hot-sellers were this holiday season. It spoke to business owners around the area to find out. 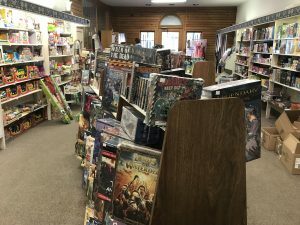 Crossen says gift cards also pick up around the holidays as people come in to find something for the comic lover in their lives. “Anything they haven’t got, their spouse or loved ones usually get for them,” Crossen says. Spencer Destun, owner of Sam the Record Man, says that while everything sells around the holidays, this year sales have spiked around a particular Canadian band. “The Tragically Hip has had a tragic three or four months, so everything of theirs is selling,” says Destun. 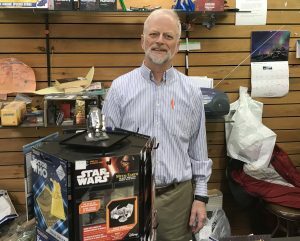 Richard Belanger, co-owner of Scalliwag Toys in Belleville says that while items like board games sell better around the holidays, the benefit for retailers is more about all items selling better. “It’s the time of year when people just buy more of the same things,” says Belanger, who adds that the idea is to carry items that sell year round. Peter Reedyk, manager of Chumleighs in Belleville, echoes Belanger’s words. While video games are usually a hot seller, he says, the wide range of customers means everything sells well in December. While sales peak in December for Chumleighs, Reedyk says that January is when more people come in to sell items. “There’s a cycle to all of this,” he says, stating that as people get new items for Christmas, they come in the new year looking to sell their old items.